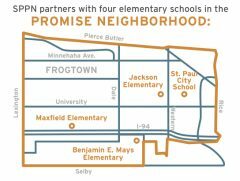 The Saint Paul Promise Neighborhood (SPPN) is a community-wide initiative to provide the academic and social supports children need to succeed in school and in life. The neighborhood is a 250-square block area in the heart of St. Paul’s historic Frogtown and Summit-University neighborhoods. Nearly 80 percent of SPPN’s residents are of color – with African American and Hmong making up the largest groups, but also including African immigrants, Latinos, and others. SPPN is a coordinated effort of a coalition of nine anchor partners, including the Amherst H. Wilder Foundation,and more than 70 additional agencies. Within McKnight’s Education & Learning program, Wilder received project funding to support SPPN. SPPN has developed a continuum of solutions and a surrounding infrastructure where all children are validated, valued, developed with culture as an asset, and where they can all ultimately be successful. SPPN has implemented a Children’s Defense Fund (CDF) Freedom Schools school to combat summer learning loss in its students. For six weeks during the summer, more than 180 children attend the SPPN Freedom School for Harambee. Harambee is a Swahili word meaning “all pull together,” which is exactly what the students do every morning as the school comes together for aloud, raucous, joyful “huddle” to prepare for their day. After their morning huddle, students work on reading activities and have cultural enrichment activities in the afternoon. Parents are also engaged through weekly dinners and Parent Empowerment Workshops, which keep them connected with each other and stay updated on happenings at the school. 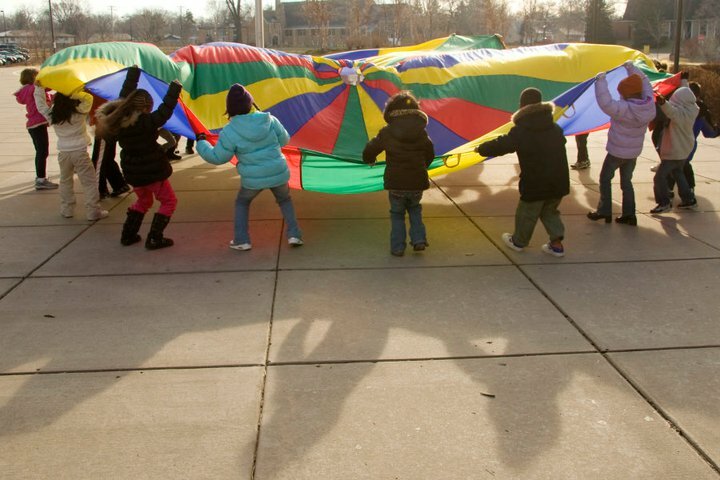 SPPN has developed a continuum of solutions and a surrounding infrastructure where all children are validated, valued, developed with culture as an asset, and where they can all ultimately be successful. SPPN provides wrap-around supports for children and their families from pre-birth to college and career, with full-service schools at the center.